A B2B website that is cohesive and concise in both messaging and visual design will create a lasting impact with visitors and help generate new client leads. To be effective, not only must the web design must flow well, it should tell a story about who you are and what value you offer to your clients. To tell the story of your company within a B2B website design, it’s crucial that you make key decisions to help communicate your story effectively. Here, we’ll look at the most important decisions you must make while redesigning your firm’s website. Before you even start shopping for a website designer or agency, determine how you want the website to support your sales efforts. If you get most of your business through referrals and just want a credibility piece, your website will look much different than one that will serve as a lead generator or sell products. Your website is your 24/7 sales tool and the centerpiece of most B2B firms’ marketing and communication efforts. How you expect your B2B website to support your sales efforts will affect how much you budget for your web project. For example, if a website plays a critical role in lead generation for your sales team, it will likely require a higher budget to accommodate the functionality needed to attract, convert, and manage leads. Too many cooks in the kitchen are never good, but neither is having a junior marketing person run the project by herself. You want a small team, ideally of 2 to 4 people, that have the ability to manage the project, understand the company’s marketing and business objectives, and have the authority to make decisions. It’s critical that the team you choose does not get undermined by others in your organization as this can cause significant delays on a B2B website project. Decide on a clear and concise unique value proposition for your brand. The very first message a potential client sees when they navigate to your B2B website is the value you offer to your clients. Your value proposition should tell potential clients why they should partner with your firm rather than a competitor. It should be specific, clear and free of worthless terminology. Check out examples of well-crafted value propositions. Define what tone for the copy and visual design best describes your company and how you want to be perceived by clients. For example, do you consider your company culture and client relationships as “professional,” “contemporary,” “relaxed,” or “conservative”? Find a descriptive term that defines your culture. This will set the stage for how to create copy and visuals for your B2B website. How do we compare to other companies within our industry? Why should a client choose our firm? This may not be an intuitive step in the web design process, but it’s a critical step in communicating to potential clients. It’s well documented that people now have shorter attention spans than goldfish, which means that website visitors don’t read or navigate for long periods of time anymore. Creating a B2B web design that clearly communicates with visitors means the content should communicate who you are and why clients should work with you as succinctly – yet effectively – as possible. While you can always write longer copy and create larger websites, that doesn’t mean anyone is going to actually read it. Next, you must determine what you want visitors to do once they are on your company’s website. How should people connect with your company on the website? Should they fill out a general contact form? Should they schedule a consultation? Should they request a demo? Should they request a quote? Should they download a guide or case study? Decide on an effective call-to-action based on what you know is most important to your clients and what the next logical step is in the sales process. When working with a web designer or agency, the feedback you provide is important. The best feedback is constructive and specific. Saying, “We don’t like this,” doesn’t give any direction for the designer or copywriter to change the design or copy. Be sure to be specific about what you don’t like and why so they can better understand your thought process. Specific feedback enables them to revise accordingly throughout the project and provide a website that is in line with your company’s vision. To accomplish constructive feedback in a timely and efficient manner, we advise having no more than three people in your company providing feedback and making final decisions. When making decisions about web design and content, it’s good to be objective, however, much of the time, it’s best to go with your gut. Capturing the essence of your company can be an emotional process and is often subjective. It is the job of the designers and copywriters to synthesize the feedback you provide into visuals and text that fit the tone you’re trying to communicate. If any design or copy elements don’t “feel” like your brand, don’t hesitate to let them know. 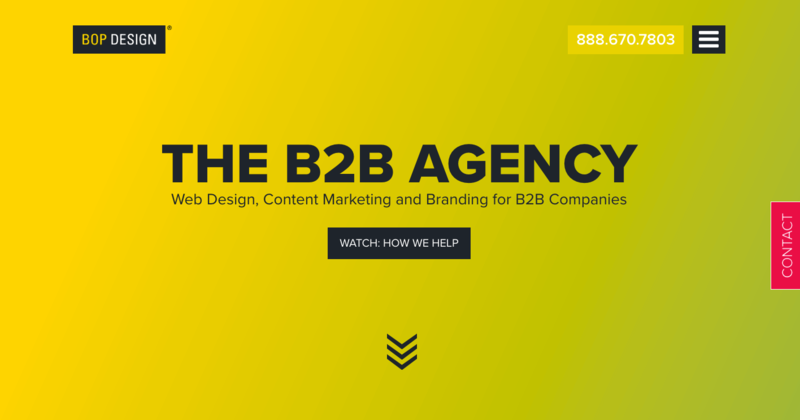 Interested in seeing the latest B2B web designs? Check out our portfolio to see how B2B firms are showcasing their brands in the digital space. Stock photography: bad or good? During the B2B website redesign process, we get this question quite a bit from clients. There is still a stigma around using stock photography. The reason behind this is valid: stock photography used to be really, really bad. No one wants to look at a guy in an ill-fitting suit counting money in an office decorated like it’s the 1990s. (You know you’ve seen the picture and it makes you cringe.) The good news is that stock photography has evolved significantly. Just like any other market, stock photography had to evolve to meet the changing needs of its customer base. As such, photographers spent less time staging really fake images and started setting up shots that looked more natural and organic. Pictures still convey quite a bit of meaning, so it’s important to utilize photos and images that convey a message that is consistent with your brand. Of course, custom photography is always the number one choice for B2B websites and marketing, but if this option is too pricey, stock photography is a good resource. No Images Available: Your company doesn’t have access to professional in-action images taken while your employees are providing a service. This isn’t uncommon, especially for service-based organizations like accounting, recruiting, finance, or consulting. It’s rare that anyone will have taken high-resolution images of people working in your office. Action Images: Likewise, your company may not require images of a unique product or service carried out by employees. It can be difficult to convey the job duties of a consultant or finance partner in a photo. Oftentimes, iconography or other graphic elements can tell your brand story more effectively than photography. Convey or Elicit Emotion: Stock photos can be used to capture a feeling you would like a user to get when they visit your website, which is best achieved with abstract or artistic imagery. Do you want visitors to feel passion, relief, safety? Imagery can be used to convey or elicit these types of feelings. Tell a Story: Photos can be instrumental in telling the story of your company, which may be difficult for a professional photographer to capture with the resources available (i.e., employees are not paid models, so may not produce the “feel” you’re trying to capture to help explain the benefits your business provides). Fit with Website Design: Stock photography can provide unique visuals that support the structure and layout of your company’s website design. For example, wide images with empty spaces for copy overlay can create a unique and compelling visual effect. These images help to support the look and feel of the website to make it fluid and functional. Quality Images: It can be tough to find clear, high-quality images that aren’t taken by a professional photographer. For this reason, stock photos help to ensure the B2B website designer has access to images of proper scale, high enough resolution and large enough size to avoid blurriness on the website. Blurry images make your company look unprofessional and sloppy, so never use blurry imagery. Supplements: If your company already has high-quality images to work with, you may consider supplementing with stock photos to help provide a larger picture and/or a stronger message to the user. Even as I write this, stock images are getting better and better. Photographers are learning more and more what B2B firms are looking for and are refining their images, compositions, and subjects to meet those needs. Stock photos can be powerful tools to use in a B2B website design, so don’t discount or avoid them based on their previous stigma. Ready to get started on your B2B web design project? Contact us today to get a personalized consultation. You don’t have to be a web design pro to manage a B2B web design project. In fact, most clients we work with are marketing professionals, not web design professionals. However, to make the project smoother for you and your team, we’ve compiled 11 essential web design terms that you will need to know throughout the course of the website design project. CTAs – An abbreviation for calls-to-action on a B2B website or piece of collateral. Successful websites showcase clear, compelling CTAs that drive conversions or desired user behaviors including completing a contact form, downloading an ebook, or calling the business. Font – A font refers to the style of the text unique to its associated typeface family. For example, Helvetica Bold is one font in the Helvetica typeface family. When selecting an appropriate font, the designer makes sure it fits the company brand styles and the tone of the copy and ensures it’s legible by altering the size, spacing and line heights. Gradient – A gradient is a design technique in which one or more colors fade into each other. It can also be applied to images, creating a fade effect with a color or another image. Gradients are often used to add visual interest to web pages and can allow more space for important copy. Header Tags – Often referred to in terms of search engine optimization (SEO), a header tag or the H1 tag in HTML is the title of the web page or blog post. It also refers to other subtitles in the text, including H2, H3, H4, etc. The header tags are used to demonstrate the hierarchy of the text. For example, H1 is the most important title with H2 being less important. JPEG – This is a type of image file that utilizes compression to achieve a minimally perceptible loss of quality. In many cases, JPEGs are used for photographs on websites to reduce the file size of the image and speed up the page load time. Navigation – Specifically called site navigation, it is the main menu of a B2B website. It can appear across the top of the website, along the bottom of the website or as a menu pull-down underneath an icon that resembles a hamburger. It is how the user can access website pages without having to click on anchor text within each page. EPS – An EPS, or Encapsulated PostScript, is a file type typically associated with a logo file, which is created with vector shapes in Adobe Illustrator. Vector shapes are infinitely scalable and an EPS file maintains this scalability, meaning your company’s logo will look clear and sharp no matter the application. An EPS file of your company’s logo is requested during a rebranding or a website refresh project so the designer can use the scalable file wherever needed in the design and it won’t lose visual quality. Negative Space – Refers to the empty space around a design or image. In some cases, it is referred to as the white space around a design on a website or image. Negative space is essential to ensure that a website isn’t too visually jarring or noisy for the user. PDF – This abbreviation stands for portable document format and is a file format that provides a way to easily share documents or download files from a website. It is a cross-platform format that enables sharing of documents that cannot be edited (unlike Word documents). Many downloadable guides on B2B web designs are in PDF format since they are universally accessible. Pixel – It is the smallest area of illumination on a computer or other device screen. Images are composed of many pixels, so this is often used to evaluate the size of an image. For example, an image that is 300 pixels by 300 pixels is much smaller than an image that is 1200 pixels by 1200 pixels. Sitemap – Essentially, the sitemap is the blueprint of the website. It shows the overall architecture of the website’s navigation, along with any sub-pages. Every B2B web design project should have a clear sitemap that shows where all the pages will be in the website structure and the content on each page. Questions about your B2B web design project? Let us know in the comments below. Do you have questions about website design for your company or industry? Let us know in the comments below. When B2B firms come to Bop Design for a new web design, it’s often because they don’t think their current website accurately positions their brand. If you are starting to wonder whether your firm’s website fits with your brand, it’s time for a serious evaluation. In this blog, we provide a six-point evaluation process for determining if your web design truly represents your brand. For many people, it’s easier to discover what you want by figuring out what you don’t want first. Before drilling down into what you DO want to see reflected in your web design, you should determine what it is currently saying and whether you like it or not. Check What Your Web Design Says About Your Brand to do a quick “big picture” check on what your website is saying about your company. Is the design outdated? Is it saying that your brand is old, tired, and behind the times? Is the website responsive and adaptable? If your web design isn’t compatible with all the devices people are using to access your website, it might be saying that your brand is inflexible or rigid. Does your brand thrive on making it easy for clients to work with you? Is your web design conveying that same message of ease? Or is it difficult to navigate? Is the information, even basic contact information, on your website accurate? If your website content hasn’t been updated since 2011, it’s time for a review. Now, let’s dive a little deeper into the design elements that are associated with your B2B brand. Logos tend to evolve over time – sharpening, morphing, adapting. This is completely normal. Even Apple has had various iterations of its logo over time. However, with the evolution of a logo, it can be difficult to track where the different versions are appearing and making sure they are all up to date. All the logos that appear on your website should be approved versions that you are using for your brand. There are many different fonts and typefaces out there, so it can be difficult to choose just a few to work with. It can be even more difficult to choose fonts that work well together. A firm’s brand guidelines should clearly state which fonts and typefaces are acceptable to use in all brand designs. These brand guidelines should ALWAYS be followed on your B2B website. It might seem like a subtle aspect, but users will pick up on the inconsistency in the typefaces or fonts and it will reflect on their experience with your brand. Need a primer on typography? Check out What Is Typography. We mentioned brand guidelines above, which is also relevant to your brand colors. Even if you don’t have a formal document that lists your exact brand colors, you likely have a general knowledge of what they are. For example, Cisco has a very specific blue color palette that they work with that is listed in their Color Guidelines. Now, you would not expect to go to their website and see hot pink, lime green, or yellow. Why? Because that wouldn’t match what you are familiar seeing with their brand. When you look at your firm’s website, what colors are represented on it? Are they consistent with the brand colors for your company? Imagery covers a lot more than just pictures on a website. It also includes icons, animations, videos, banners, and infographics. In the B2B marketing world, a lot of service-based businesses can’t use product-based imagery. As such, they tend to use photos of people performing tasks or using the services to complete tasks. Whatever imagery best represents your brand should be evident in your web design. It should also be consistent. A web design that uses a hodge-podge of different types of images can be confusing. As an example, the Bop Design brand isn’t associated with stock photos. If you look at our blog images, you’ll see they are all illustrations. We’ve found the best way to create a consistent brand is through the use of icons and illustrations, both of which work well to portray a variety of complicated concepts. Last but not least in our six-step evaluation is examining the overall messaging on the website. Do the benefits statements, language and calls to action all work together to uphold the same brand message? It’s often not as simple as a singular slogan. All of the textual elements on a B2B website should be somewhat uniform and tell a cohesive story. If your brand’s main value is streamlined processes, your calls to action shouldn’t be focused on cost savings. For many firms, the first hurdle is to define a brand’s main value proposition. Once that is defined, it’s possible to carry that proposition through all of the messaging on the website. If your website isn’t clearly upholding your brand, it’s time for an overhaul. When you start the web design process, it’s important to maintain consistent branding. Follow 4 Tips for a Consistent B2B Brand to ensure cohesive branding across all your marketing channels. Have more questions about branding and web design? Check out our content pieces below to get the resources you need. It’s important for B2B firms to have a polished, professional web design that tells the company’s story visually and helps them stand out from their competitors. However, if the B2B website design makes the four simple mistakes listed below, the design may harm the brand’s image rather than help it. It’s good to have a unique design and supporting marketing copy that connects with and engages potential clients, but the messaging needs to be clear about exactly what the B2B company does and why it is unique from its competitors. If this isn’t something a website visitor sees right when they get to the website, they may get confused and leave immediately. First impressions are important for building trust and getting visitors into the sales funnel. A strong B2B website doesn’t need to reinvent the wheel. In fact, having a design layout that visitors can easily recognize and understand right away is important. If a visitor doesn’t recognize how to navigate the website quickly, they may get confused or frustrated and leave, never to return again. A good rule is to make sure a potential client can find what they’re looking for with the least amount of clicks possible. Fonts: If the fonts are too stylized, too small or too thin, it makes the copy difficult or even uncomfortable to read. Spacing: The spacing around blocks of copy is very important. If the copy is crammed together and there is little space surrounding copy blocks, reading it becomes tiring. Make sure there is adequate spacing so the user’s eye can easily track the lines of text. Colors: The colors of the copy should stand out enough to be legible. Lighter colors such as yellow may be difficult to read, especially for older users or users with low vision. Potential clients should be able to, at the very least, find the most important information quickly and easily on a B2B website. Contact information: Phone number, address, e-mail, form fields to schedule consultations, request demos, etc. Services: List of services and capabilities of B2B company. Resources: Blog, downloads, videos, content pieces, case studies, and white papers. As mentioned earlier, exceptional web design is critical for creating a great first impression of your firm’s brand. However, a successful B2B website must also be functional, easy to navigate and user-friendly. Avoid making these four simple mistakes in your web design to create a website that resonates with your potential clients and encourages them to convert. Starting a new business is an exciting time. Yet too often when we’re approached with a startup B2B brand, the name of the company comes as an afterthought. It’s understandable that service delivery and sales is what keeps a business going—but taking the time to establish the foundation of your brand is critical in the long run. When deciding what to name your business, it’s easy to fall back on safe, non-differentiating ideas. For example, many marketing agencies and CPA firms fall back on using the names of their principals. Not only is it uninspiring, you risk creating a Sterling Cooper Draper Pryce fiasco that in the end doesn’t differentiate your firm in any way. In this post we’ll outline why you should push the boundaries of your brand name, in addition to inspiration of where you can find new ideas. Do I plan to sell my business? Will this company eventually grow nationwide? Worldwide? Will my family inherit the business? Do I plan to expand to other industries, complimentary products or services? If any of these answers are “yes”—it’s best to keep your name (first or last) out of it. Names based around an individual place too much weight on the personal brand and risk losing value if that person were to ever leave, retire or sell the company. The culture of your business. SEO software provider Moz was originally named “SEOMoz,” since “Moz” used to be a general term describing open source websites and forums (think before Wikipedia). When that word went by way of other Internet terminology, Moz adopted it to express their values in transparency and customer participation. Beyond generic service offering. It’s great if your brand name conveys your service delivery, but be careful with word choice so that it’s not too literal. For example, social media software provider Buffer’s name explains the action of scheduling tweets and posts with ease. Foreign language. Is the leader from an immigrant family? Started overseas? Even if your brand isn’t operating in that country, creative play on words can help inspire unique names. Most popular among clothing lines and bakeries (think Le Tigre or Au Bon Pain), B2B brands can take note. Shorten it. While there are brands out there to debunk this way of thinking, typically successful brands are three syllables or less. Sony, Target, Chevy, Apple—all of these iconic brands are simple to say. Evoking emotion. Consider the experience you want your customer to have with your business. For example, thermostat company Nest isn’t just play on the word “home.” A mother bird carefully constructs its nest, therefore the brand conveys a sense of protection and comfort. Brain Parade is more than just an education tool, it’s a vibrant community of parents, instructors and institutions passionate about using technology to improve and transform the learning environment for children with autism and special needs. Since the initial launch by Bop Design five years ago, Brain Parade experienced tremendous growth from expanding their products and target audiences, in which the previous website no longer accurately reflected. During initial discussions, it was imperative that the new Brain Parade website incorporated responsive web design. As an educational technology provider selling a tablet app, not only did responsive design address parents and educators from all devices—it also positioned their brand as an innovative, efficient technology solution. While Brain Parade’s three main audiences—parents, instructors and education institutions—are diverse in needs, all three have one goal in mind: to improve the learning of children with autism and other special needs. Imagery for the website not only reinforces a happy educational experience, it communicates specific benefits for each audience. Call outs to download the free and paid versions of the app from iTunes are also prominent throughout the site. Finally, the website serves as an ongoing resource for Brain Parade to provide company updates in the form of a blog and news sections. As a company passionate about the autism community, the website allows them to show their consistent involvement in community events and promotions. See the full website on BrainParade.com. Revolution Landscape is more than green gardens and manicured foliage—they look at landscapes as a whole to create sustainable environments for residential and commercial communities. Not only are the results beautiful, but the completed projects save water, restore native plants and bring organic food production back into the city. Revolution Landscape came to Bop Design with an already thriving residential portfolio, but needed a website that could introduce themselves to the commercial market. The company was interested in partnering with business property managers looking to create landscapes that add curb-appeal to the existing building structure—therefore adding value to current and potential tenants. Bop Design created a robust website to answer the needs of both commercial and residential audiences. The design has a corporate feel for commercial buyers, but still incorporates colors and imagery that appeal to consumers. The website lists its service areas of interest to both verticals in order to effectively rank for search engine results. Finally, the website integrates a comprehensive Amazon store to showcase products Revolution Landscape recommends for starting and maintaining a landscape project. Finally, the collective website relates back to the brand promise: providing San Diego with customized, eco-friendly, sustainable landscaping. The look and feel elicit lush greenery, while clearly explaining the different garden formats available. Visit RevolutionLandscape.com to be transported to a digital Garden of Eden. Flat vs. Skeuomorphism Design: Which to Choose? In the past year, vibrant colors, improved stock images, diverse typography and the desire for simplified, uncluttered design has made room for two trends in user interface: Flat UI and Skeuomorphism. While both very different, eagerness to implement new website design trends can leave a business questioning which route is most valuable. Also known as 2-D interface design, some examples include Nest and the Microsoft Windows 8 platform. Known for eye-catching colors and icons, flat design is a great design option for businesses with minimal content needs and image resources. Skeuomorphism, or realism design, is the textural treatment given to a website to make elements appear as real objects. Some favorite implementations include Panera Bread and Ideator. Which is optimal for B2B? Flat design communicates messages and tones dealing with intangible services much better than realism. It is best to present abstract services and overall company messages/brand in the simplest way possible, and clean lines and graphics tends to get those messages across quickly and efficiently. Navigation is also made easy when everything is cleanly laid out and organized in a modular fashion, directing the user to take action on various parts of the website. The two UI designs serve very different needs. Flat interface is commonly seen within tech or large consumer product companies, while skeuomorphism is utilized by apps and lifestyle websites. Regardless, when approached with a client demanding out-of-the-box designs, understanding the pros and cons of each trend helps push the design process in the right direction. Maintaining a fresh and updated website should be one of your key business marketing strategies. Too many people with half-developed ideas start implementing new strategies without fully thinking them through. Seasoned executives know that these rookie mistakes can cost time, money, and even new clients. If redesigning your business website has been floating around the top of your priority list lately, check out this list of mistakes to avoid. Remember who your clients are. Remember what they want from you. Is yours an eCommerce site? Then your focus should be on selling your merchandise. Is it a corporate service, like a CPA firm or attorney’s office? Then your focus should be on reassuring your potential clients that you offer the expertise and professionalism that they’re seeking. Focus on your business’s main strategy and execute it flawlessly. Resist the temptation to ‘be everything to everyone.’ Stick to what you do best and show your clients why you’re right for them. Your goal should be to set your business apart from your competition while maintaining a familiarity that will put your clients at ease. Be very careful when using unconventional ideas. Users will expect a certain look, feel, and usability from your website, depending on your industry. Reference your direct competitors’ websites and use their designs as a launch point. Subtle adjustments in color palette, fonts, layout, or stock photography can have a huge impact on how your website is perceived, without making it seem out of place. It’s never a good idea to rush into a launch for a website that is incomplete or not fully functional. However, for every week that your updated website is not being seen by your prospective clients, you are missing an opportunity for engagement. Set deadlines to approve drafts and designs from your web developer. If your website’s main framework is ready and most content is locked, launch the site ASAP. You can always work on small tweaks with your developer that will tighten the site but not impact overall usability. If you’re working with a web developer that provides copywriting services, this will not be an issue. Web writers know that the single most important piece of content on any web page is the call to action. But if you’re developing or updating your own content, be sure to scan each page and identify at least one area where your reader is directly solicited to contact you. Your business’s contact information should also be clearly highlighted on each page of your site. Feature it in a sidebar, across the header, in the footer, or even on your website’s overall page title. You never know when a prospective client will decide to pick up the phone and you don’t want to inhibit their momentum by burying your contact information. If your daily schedule is already full, work with a website design company that can support your interests while freeing you up to run your business. There are plenty of reputable companies that offer affordable website design and copywriting services. They employ teams of experienced people who are enthusiastic about creating compelling websites for businesses. Even the smallest, simplest sites have lots of content. Multiple pages with multiple content areas must all be filled with compelling copy, design and imagery that will help your business stand out. A marketing company can help. This is the most tragic of the rookie mistakes because it leads to stasis and neglected websites. Delaying the start of the project because you’re overwhelmed is a common mistake that can be easily avoided. If you have been “meaning to” update your website for more than four months, then it’s time to call in a professional and get the ball rolling. You’ll feel so much better after you do. Your website should be a source of pride for you and a key tool to support your business’s marketing strategies. Though you might not know much about the process now, think of it as a refresher course to reacquaint yourself with all aspects of your brand. The whole thing might seem overwhelming, but the first step is to step up to the plate. It may sound like something out of a science fiction novel. In reality, “parallax” is a specific type of website design that involves altering the CSS to create a continuous scrolling feature in which graphic elements and text exhibit movement and interact with the scrolling motion. This creates the appearance of a layered visual effect, which helps create depth between the background and the moving images, graphics and text. If you’re having a hard time visualizing the concept, AWWWards has examples of award winning parallax websites. What’s behind the move to parallax website design? One of the primary benefits is that parallax design allows a website to walk visitors through a story just by scrolling down the page. This approach works especially well with visitors who don’t like to click on a lot of links or browse numerous pages to get the content they seek. Parallax design also enables companies to project a unique image that makes their website stand out from others. The dynamic communication style holds the attention of viewers longer than a regular site, and appeals to a younger crowd seeking a different user experience. Plus, the more fluid and linear style of communication keep viewers on track, allowing them to absorb more of the company’s brand messaging. On the other hand, parallax website design has a number of potential drawbacks, especially with SEO. A parallax site is basically a one-page site, and the single-page design makes it difficult to optimize the site for a wide variety of search terms. A one-page design also limits you to only one set of meta data for the site. Which means there’s only one way for customers to find you on the web. With multiple-page sites, people can find your site through all the different pages. SEO experts generally recommend using only one H1 (header) tag per page, and having only one page limits the amount of H1 keywords on a parallax site. Technically, you could cram them all into the one header. But it wouldn’t make sense to readers, and the search engines would suspect something was up. Another downside is that Google doesn’t like huge pages because they take forever to load. And neither do today’s “I want it now” web browsers. If a parallax page takes too long to load, people will click off and go elsewhere. Analytics can also present a problem, as today’s analytical tools don’t have the capability needed to accurately measure engagement on a single-page website. Finally, parallax design does not work well on mobile devices, an important consideration given the explosion of mobile web surfing. If you’re looking for a new and interesting way to engage website visitors, a parallax website design offers a trendy option. It can help your site stand out from the crowd and increase the odds that visitors will take the action to connect with your company. However, if you depend on SEO to drive traffic to your site, you may want to think twice before taking the parallax plunge. If you’ve ever worked with a design agency on a printed document or marketing collateral, it may sometimes seem like they’re speaking a foreign language. The print design world contains many words and phrases that are unfamiliar to the average person. But if you don’t understand the basic terminology, you could end with a printed piece that doesn’t look the way you want. Worse, it could lead to the dreaded (and costly) reprint process – an outcome nobody wants. To help make sure your print projects come out right the first time, here’s a basic glossary of important print design terms. Bleed. This refers to any design element on a print piece that extends past the edge of the paper. Designers indicate a bleed by setting up the document with a bleed mark, typically measuring 0.125 inches past the trim area of the final printed piece. CMYK. No, this is not dyslexic for “check your mail.” CMYK stands for the combination of ink colors most commonly used in 4-color process or digital printing: cyan (blue), magenta, yellow and black (represented by the “K”). Images in print documents are always printed in CMYK, and must be converted from other color formats to CMYK before printing, unless it is a low-Pantone color run. Pantone colors. Also known as PMS (Pantone Color Matching System), these comprise a set of universal colors that every printer in the world can replicate. Each Pantone color comes with CMYK, RGB, hexadecimal and Pantone color codes. Using these codes helps create color consistency throughout print and digital branding materials. Crop marks. Printers typically fit multiple prints onto one large sheet of paper. Crop marks indicate where the printer should make cuts to the final printed piece. They are also used to cut and separate the excess paper and other prints. Digital printing. Also known as 4-color process printing, digital printing is specifically for CMYK color. It is most cost-effective for smaller quantities (250 to 1,000 pieces), as it requires less prep work for the printer. Finish. This refers to the surface quality of the paper used for the printed piece. Different types of paper have different finishes, such as matte, luster, glossy or textured finish. Commonly used finishes include glossy and matte. Offset printing. Offset printing is generally used for larger print jobs of 1,000 pieces and up. The printer sets up a different plate for each color, and runs every print through each color plate to create the final printed piece. This requires more setup on the part of the printer. But it enables both CMYK and Pantone colors to be used on the press, and allows for larger initial runs as well as re-runs for larger print jobs. PPI/DPI. PPI stands for “pixels per inch”; DPI for “dots per inch.” Both are used to communicate the resolution of images, and since they refer to the same measurement can be used interchangeably. There are two standard PPI measurements, with 72ppi referring to the optimal resolution for a computer screen, and 300ppi referring the typical optimal resolution for printed images. RGB. RGB is an acronym for “red, green and blue” – the colors that make up all the color combinations seen on a computer screen. Documents and images set for screen viewing are typically in RGB. In order to use the images for print, they must be converted to CMYK in Photoshop. It also helps to make sure they’re at 300ppi, as images taken from the Internet are usually set to 72ppi and may not be large enough to print. Proof. After prepping the final design files, the printer sets up a printing proof, which is typically a digital file in PDF format. Viewing a printing proof is essential for identifying any design or content-related issues before the piece gets sent to press. Once you approve a proof, you can’t make any more changes. The best way to review the digital proof file (if it’s a PDF) is to open it and view it carefully in Adobe Acrobat. Do not print it for review on your home or office computer, as these printers use different inks and techniques not up to par with professional printers. Viewing the proof on a computer screen is the closest you can get to the actual final product. Any differences will be minute. If your graphic designer uses a term you don’t understand, always ask for an explanation. Both of you and your finished print piece will benefit from a better understanding of basic print design terms. From a descriptive and simplistic point-of-view, typography is the art and technique of arranging type. Most people never think about typography. They don’t understand the psychological effect it has in relation to conveying a message. If you have ever seen the movie, “The Holiday”, then you know that Cameron Diaz’s character, Amanda Woods is a movie-trailer maker. In one scene she asks her co-workers to make the type for the movie header she’s working on, “twice as big, but try it in a red, like a happy red, not a Scorsese red.” That’s all part of the art that is typography. Typography is 95% of design – it’s a driving force in all forms of communication art. Can you imagine reading a magazine, checking out a website, playing with an app or watching TV without text? The choice of typeface can affect how a piece is understood. Consider these two examples below. Which is more appropriate considering the title of the article? Most people would automatically choose the example on the left. The font size and type elicits a feeling of power, seriousness and importance; while the example on the right is fun, light and playful. Good typography is utilitarian in that it should allow the reader to focus on the content and not the formatting. Good typography often goes unnoticed because it just makes sense. Consider these two examples below. Which article is more legible and user-friendly? Which would you rather keep reading? The example on the left is clear, simple and easy to read. The right example has too many colors, font styles, all on a background that is very disconcerting to the eye. Consistency – in any typographical work the consistent use of typefaces, kerning, leading, bullets and formatting is critical. Consistency makes the work look professional and keeps your readers focused on the content and not the formatting. Hierarchy – it is important that your text gets read in the order that it’s meant to be read in. Take a book for consideration; the title is the first thing a reader sees, then the author’s name, followed by the chapters and then the story. Hierarchy intentionally guides the reader through the content. Often with best selling authors, their name will appear larger or the same size as the title of the book. This is because the designer is aware the author has an existing fan base that will be interested in the book regardless of the title and will most likely pick it up for that very reason. Alignment – Alignment helps keep the look of a piece unified. A flush left or flush right alignment gives the piece a stronger edge line for the viewer’s eye to follow. It also tends to give a more sophisticated look than a centered alignment, which is often the choice of typography novices. When you are reviewing drafts and you don’t question the typography because it isn’t an issue and you get the feeling and the meaning of the content, then the design firm has done their job, and done it well. Now that you have been given a basic overview of typography and its importance in everything from a book, to a blog, to a letter, you can take it into account when you work with a designer on your own organizations communications. Interested in creative print and digital designs for B2B services? Contact us today for your next marketing project. For decades, printed marketing materials have served as both the backbone and the workhorse for marketing communications efforts. From brochures and one-sheets to white papers, client advisories and more, printed materials have led the way in conveying a company’s image and marketing messages to prospects and customers. Then along came the Internet and social media, which turned the whole marketing communications world upside down. These days, online marketing materials represent the easier and more cost-effective way of communicating for most businesses. But if you think printed materials will disappear any time soon, think again. The preference for printed materials depends in large part on the type of collateral and the generation reading them. In particular, older generations that grew up in a print marketing world still tend to prefer physical items as opposed to digital. As a result, things like printed business cards remain a staple of business, and will likely continue to do so as long as older generations hold an important place in the business world. What does the future hold for printed materials? There are many things to consider, not the least of which is cost. As resources become scarcer, it may become mandatory to print everything on recycled paper. This would impact both the cost of the materials and the production process, and could force companies to limit what they print and how much. Companies also need to consider how to optimize their print pieces for use on websites, portable devices, and other electronic formats — especially when it comes to search engine optimization. In the past, print collateral didn’t need to take into account things like SEO, Google algorithms, or linking to other websites. Now, these have become an essential part of the distribution process for print materials that are also used online. In addition, the emergence of iPads and other types of tablet devices are rapidly changing the way we view “printed” materials. Until recently, brochures, white papers and other collateral were primarily optimized for reading on or downloading from a website. Everyone knows the drill – you fill out the online form and download a .pdf file, which you can then choose to read online or print and carry with you. However, as more and more people turn to tablets for their primary reading tools, companies will need to ensure that all print materials are formatted for this platform as well. In addition to generational preferences, the biggest factor keeping print materials mainstream is the fact that data sharing has yet to emerge from its early stages of development. However, rest assured that the mobile technology companies are moving ahead at full speed in this area. Once data sharing between mobile devices becomes more sophisticated, businesses will find it a lot easier and more cost-effective to distribute digital materials. Printed materials may well be on their last legs. But as long as we have people who prefer to hold something, those legs will keep kicking a while longer. The challenge for today’s marketers is to know the preferences of their target audience and develop the appropriate mix of print and online/mobile materials. At some point in your career you may find yourself in need of hiring a designer or being asked your opinion on samples of work during research. Before you even start your research, you should have a very basic idea of what you are looking for and what you are trying to accomplish. You do not want to have a crystal clear “vision” in your mind because you will never find someone to fit those exact requirements and you will lose out on the possibility of an end product that exceeds those initial ideas. There are many other elements that go along with hiring a designer, but before you even get into the nitty-gritty details, here are a few basic tips to help you get started as you are researching and looking at work examples, as well as during more in-depth discussions once you’ve whittled down the pack. Your organizations’ message, brand, personality and vision are unique so why not hire someone who will capture your essence instead of a firm who cranks out cookie-cutter, unimaginative designs. Is the design of their work pleasing to you? Is the design eclectic or conservative? Can you picture the message you want to convey in the work samples you’ve seen? You should be able to quickly review samples and weed out those designers who you can see will not meet your needs. Timing is everything for many elements that have to be designed–a promotional flyer, a website for a product or company launch, an advertisement, tradeshow booth graphics, etc. If you need to have a brochure in your hands in two weeks, make sure your designer has the availability and bandwidth to meet those demands. Always give a deadline, but add as much “padding” as possible, starting with your search and through the design process. If you are not the only decision-maker, you need to leave room in your review and edits schedule to work with others in your organization who may have other priorities than reviewing, commenting and approving your document or website. Non-designers and those who do not work with designers regularly do not always understand how long it can take just to work on editing one image, so be sure to give yourself and your chosen designer enough time to meet all deadlines so the end product will be the best it can possibly be. A solo freelance designer has a lot of other things going on (project management, accounting, networking, etc. ), more so than a designer on a team who has more of an opportunity to focus directly on design because all of the administrative functions are being taken care of by someone else. Keep in mind who you want to work with – because if it’s a team, then you may not necessarily have a lot of direct contact with the designer, you may work with the project manager most of the time and during your research you want to make sure that if that is the case then you will want an overview of the firms’ process to help prevent any rough waves or misunderstandings and ensure a smooth project flow. This usually isn’t a make-or-break rule, but try to make sure that the designer has at least some relevant experience, whether it is in your specific industry or just in the general area. You probably don’t want to use a designer who has only done B2C customer-facing design work if you are a B2B company. Does the designer work only with print or only with web? If so, it may be a good idea to find a second designer who specializes in whichever area your designer doesn’t. There are still designers and firms who only work in one medium. Today, it’s more efficient to hire someone who has experience carrying over print work to web, and visa versa. You may not want to turn your brochure or flyer into a full web page, but unless it is a specific one-time only use document, you will want to repurpose elements of the design and content on your website. All in all, if the designer or firm doesn’t meet your basic needs from your initial research, you should not even look further and move on until you find the right fit for you. Inform the designer about your business. Before getting into the specifics of the project, offer some background on your company. Provide a succinct explanation of your business model and/or unique value proposition. Outline your marketing objectives. Then give a clear definition of your target audience and why they would be interested in your product, service or business. The more the designer understands who you are, who you serve, and what you need, the better the end product will be. Outline your primary communication objectives. Give the designer some basic guidelines about the look and feel of the project. Don’t worry about spelling out exactly what you want the design to look like. A good designer will have the talent to take your rough ideas and come up with a professional design that represents your company in an appropriate manner. Be sure to provide the designer with examples of other designs you like—whether the design belongs to your industry or not. As much as you can, explain to the designer what appeals to you about the samples. Stay in contact. If you want to be surprised by the outcome (and not necessarily in a good way), hand the project off to the designer and then have no further contact until the final due date. To achieve a more optimal outcome, schedule review meetings for each phase of the project. Give direct, professional feedback. During the review meetings, give the designer your honest feedback about what you like and what you don’t like about the design. Giving vague feedback or none at all will cause your designer to have a harder time creating the design you want. Trust their judgment. Finally, and this is the hard part for many, trust the designer’s educated, experienced judgment. You may not agree with everything they do. But if they strongly advise you a certain way, they have a good reason for doing so. So hire the right designer or agency, provide clear direction, and stay involved throughout the project. You’ll end up with a design that meets your approval and does an excellent job of supporting your brand. Leaders in the business world rarely find themselves only rarely dabbling in the vast field of art and design. But on those rare occasions when your company is going through a rebranding or is implementing new marketing materials, you may find yourself thinking about how to best communicate the ideal image of your business. You might even start using terms like “colorful,” “bold,” and “sleek,” which start bubbling up from the depths of your mind like you’re back in that mandatory high school art class. A very popular descriptive term we’ve recently heard a lot of at Bop Design is “minimal.” Minimal, according to Marriam-Webster, is “a style or technique (as in music, literature, or design) that is characterized by extreme spareness and simplicity.” Basically, less is more. Clients often request minimal design for their websites. Website design, generally speaking, is a combination of function and form, in which companies can display their most compelling content and create an image for their company simultaneously in order to generate business and connect with their target market. That sounds like a lot of function, doesn’t it? Well, that’s where much of the difficulty with minimal website design comes into play in the business world. B2B product and service firms typically have a lot of functional elements they want, and sometimes even need, to have on their websites. These elements could include service descriptions, multiple contact forms, calls-to-action, and the like. If this is the case, but a minimal website design is preferred, these businesses need to be willing to make some functional and content-related sacrifices in order to create a successful minimal design. The less content the designer is given, the better they can work with balancing negative space and highlighting the key design and content elements most beneficial to the firm. Benefit: Navigation is more noticeable and clear to the user. Result: Easier, quicker navigation through more pages of your website. Benefit: Content has more negative space surrounding it. Result: Content is easier to read and digest, meaning users will comprehend your brand message and relate to your services better. Benefit: Content hierarchy is more prevalent. Result: Users can more easily distinguish the more important content from the less important content and will ultimately take the actions your company prefers them to take (i.e. call, email, purchase, etc.). Benefit: Companies will really focus on the main messages most important to communicating what their company does. Result: Efficient communication builds brand recognition, as well as positive internal and external feelings towards brand association (i.e. builds a positive following, people get excited being a part of your brand). It is also good practice for firms to really think about the content and branding preference that has the most influence over their target markets, as they can better understand and promote those positive and unique qualities that set them apart from their competitors. It might be a bit unnerving for firms to subtract some of the functional items from the website. After all, there is value in having those functions. But if the minimal design is executed properly and the navigation is efficient, then these items are not necessary, as the user should be able to locate the blog and navigate the site with ease. If your firm is looking to implement a minimal website design, below are some things to consider before taking the minimalist leap. What are the goals of your website? For example, do you just need to educate people about your products and services? Or, do they actually buy on your site through an online shopping cart? How much functionality do your prospects and customers expect? What do they want to be able to do on your site? How will your website promote your brand message and set you apart from competitors? Is your brand message strong enough to hold up within a minimal design? If not, what could you do to make it stronger? How important are the visual elements of your website to creating and supporting your brand? Are the elements you would have to sacrifice to have a minimal design critical to the success of your website? Pinterest hasn’t had the best rap in B2B industries. But that perception is changing. Consumers who share images of their favorite products and services made the free site wildly popular. But B2B usage didn’t catch on as quickly. 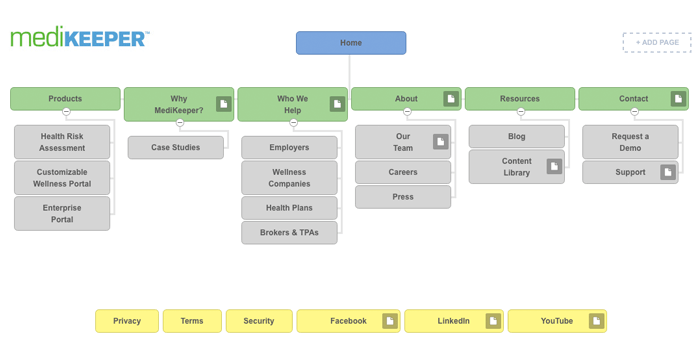 The rapidly growing “virtual pinboard” and business-specific profile option is becoming increasingly popular in B2B industries as a means to display a company’s logo, brand elements and culture, information and portfolio of images, as well as images from other sources of industry-related websites, creating links to another off-site social media site, generating improved SEO. Another tool, seemingly appealing to businesses, is Pinterest’s recently launched “secret boards.” They enable users to set up themed boards in advance before presenting them within their profile. So the final boards can be more comprehensive and thought out in terms of the image-related information they present. Another benefit of secret boards is that they allow businesses to save potential resource images, then look into them further to see if the sources are reputable. So if you’ve been considering using Pinterest for your B2B company, check out the business resources page on the Pinterest site at business.pinterest.com. You can also learn more about secret boards and other special features on the Pinterest blog. Contrary to popular business practice and belief, Pinterest is an option for B2B industry companies and can be a very helpful social media tool to help your business grow online exposure and a quality online community. Brand: A business card conveys your brand by introducing brand elements, such as logo, colors and fonts. It is imperative that your business card to be consistent with your other branded materials. This helps to reinforce your brands, helping new acquaintances remember you and your company better. Size: If you’ve ever thought about making your business cards larger, smaller, or even a fancy die cut to stand apart from your competition, there are advantages and disadvantages to consider. The typically business card size is 3.5” x 2”— meaning wallets and business card holders are designed to accommodate this size. If you business card won’t fit into these items, it may get tossed in the trash—making you lose out on potential business. So it’s best to create a design that stands out while fitting within those dimensions so that you’re newly made contacts can carry and store your information easily. Paper: There are three things you want to consider when choosing the paper stock for your business card—weight, design, and finish. First you need your business card to be sturdy so it doesn’t get dented or torn in your wallet or business card holder. Just like a flimsy handshake doesn’t make a good impression; neither does a flimsy business card. Next, you want to consider the design of the card and what color paper and texture will compliment the design the best. Simple variations such as an off-white linen paper stock verses a bright white smooth paper stock will really impact the final product. Lastly, you want to consider the finish—is uncoated, matte or glossy the best? That’s up to the designer and printer—but its always nice to be able to jot down some additional information on your card if need be. Certain types of finishes or coats won’t allow this—such as glossy and certain matte finishes. Design: The business card design itself must present both your contact information and brand elements on a very small space. So it is best to keep the design clean and organized. This can be achieved by making sure there is negative space on the card. Negative space allows your eyes to rest and focused your attention on what’s most important. Selecting appropriate fonts and font sizes is also important because it impacts the legibility. It’s best to select a font that is still legible at a small size—a classic serif or sans serif font would be your best bet. Lastly, you want to organize the content (information and branding elements) so that it’s user-friendly and visually appealing. Having a strong, yet simple and easy to read business card design will present you as someone who is professional, savvy and tasteful—someone that is enjoyable to do business with. So before you begin your quest for the perfect business card design, keep these five tips in mind: information, brand, size, paper and design. Whatever business you’re in, if you have a website or participate in online marketing of some sort, it’s good to stay up to date on the internet browser and screen resolution trends. That way you can accommodate your communications accordingly. If you’re a web designer, it is also a good idea to know what browser and screen resolution people prefer because that information can affect how you design a website. This infographic shows where most people are gravitating when it comes to browser and screen size. Download the Current Screen Resolution & Internet Browser Trends by Bop Design today! Want to learn more about website design? Check out the Top 10 Questions About Website Design! There is a recent trend spreading among website designers around the nation. If you have surfed the web in the past year, you might have noticed design elements, fonts and navigation on some websites have changed—they’ve gotten larger. This may not be apparent to the untrained eye, since the average computer user has adapted to viewing a wide range of website designs and font sizes. However, when consciously acknowledged, the design of a website and the sizes of fonts and designs really makes a substantial difference. In a recent blog by SmashingMagazine, author Bnonn points out how font size makes a substantial impact on the readability of a website. This concept seems almost elementary as applied to print media, but is an issue that is often overlooked by most web designers. The blog post was written in 19-point font. Halfway through the post, Bnonn asks readers to notice how close to their computer screen they are sitting while reading his article. When the reader realizes they are actually resting on the back of their chair and not squinting an inch away from their screen struggling to read a size 12 point font, it’s a beautiful realization for the future advancement of website design communication. Coding has also played a large role in the evolution of website design. Older websites that use basic code like HTML are often very boxy and limited. With new codes that support user friendly interface designs, such as PHP in WordPress, comes a new era of website design. The use of larger, more proportionally diverse screens, as well as mobile website and application design, is causing website designers to simplify, making interfaces more user-friendly. Dubbed “responsive design,” this trend is one for web designers to watch. Making a user-friendly interface on multiple screen sizes involves increasing font and design element size, thus improving navigation and readability more efficiently than in the past. As business websites has become more prevalent in the digital age, the way in which designers view web design has evolved greatly. While Bnonn claims that there are very few designers who acknowledge the issue of readability on the web, and even fewer that put it into practice, I believe the trend of websites with large fonts and design elements is increasing exponentially, giving relief to the working man’s back troubles and declining eyesight. Just like every profession in the world today, graphic design has a process. There are certain steps a designer must take to create a successful communication for the client’s business. Without these basic yet important steps, the final product, whether a 100 page website, a brochure, or a logo, will lack the elements you need to push your brand forward and give you an extra edge against competitors. The essential idea behind graphic design for business is to create a visual identity that will differentiate your company and highlight its unique and positive qualities. If you’re doing everything right from a business perspective but still turning up short, it very well could be from a lack of successful communication of you do and why people should choose you over your competitors. Recognizing brand communication issues and seeking design help is the first step in the right direction. Once the initial outreach has been made to a design firm, the design firm will begin the alignment of business and creative goals of the project to get it underway. This marks the beginning of the design process. The first step in the process includes a creative call and design brief. You may be wondering what a creative call or design brief actually is. If you already know, then you might be wondering what the value of a creative call or design brief has in relation to your business’ brand and website. The purpose of this blog post is to familiarize you with these two terms and how they align the business aspects of a rebranding or new website with the creative aspects of the project. A creative call is a phone call between a new client and a design firm in which the client and the designer can discuss both the business and creative goals in a potential brand or rebrand or website design or redesign. This call is helpful because the designer can speak directly to the client and get important information about their business and their creative preferences as they relate to their business. The call will also build a stronger relationship between the client and designer, which will set up for better teamwork throughout the process. A design brief has the same objective, but is a written questionnaire that prompts the client to write down answers to particular questions that will reveal important background information about the client’s business, as well as the goals the client would like to reach with the new brand and/or website design. The following questions are taken from the Bop Design website design questionnaire and are used to help outline the business goals that will effect the direction of the design, but also to get the client thinking more creatively to set up for more efficient, design-related communication throughout the project. What is your company’s mission statement? Please sum up what your company does and how it is accomplished. What do your customers value most in regards to your service offering? What do you like / dislike about your current website? What is the main problem you hope to solve with the new website? What are the main objectives you plan to accomplish with the new website? Have you found any existing websites that inspire your idea of what your new website should look like? If so, please include the link and explain what you like about the site. As you can see, these questions are not all about visual design and creative elements. It is extremely important for the designer to collect the business related information pertaining to the client’s company and industry, as well as the business goals the project is seeking to reach. This way, the designer will be able to create a design to support and fulfill these goals, which will solve business issues relating to communication and ultimately increase the client’s business. These questions also illustrate the importance of having creative opinions and making sure the designer is aware of them. Questions regarding design elements, such as color, fonts, or design examples are a large help in the design process, as the designer is able to combine the awareness of the business goals with these elements for a design that will fulfill the client’s wishes and needs. In summary, it is really important for the client to understand the value in the creative call and design brief as they relate to both their business and the creation of their new brand and website. It is imperative for the client to provide as many details in these interactions as possible for the designer to use towards the completion, and ultimate success of the final design. Since the recognition of the importance of a visual identity is increasing, many companies seeking a new website design to increase business leads often get so caught up in the designs that they tend to forget the importance of the content of their website. Both the design and the content of your website are extremely important and work together to generate and nurture client leads. The website design will make the company stand out and differentiate from similar companies. It will also create an overall feeling that the client or potential lead can relate to and connect with. Often, companies want to portray a warm, welcome feeling but imply a professional, established feel as well. The content is the reason the client or lead visits the website initially, for information on what your company does and how it is unique. The content, if written well and aligned properly with your company’s capabilities, will not only generate new leads, but will keep clients long term by establishes a trusting relationship. So how can you ensure that you generate content best suited for your company, as well as a visually effective website design? The answer lies in a content generation strategy. Content generation strategy is the planning and coordination that goes into coming up with effective copy for your website that fits well within the design process and ultimately, the final website design. This process varies from one design firm to the next. In terms of content generation converging with the website design process, there are many “chicken and egg” debates about whether the design should be created before the content, the content before the design, or creating them simultaneously. Some design firms preach that you cannot begin a website design without the final, approved content. While having the final content does help the designer, it also prolongs the process. The design firm must wait for the company to generate content before a website design is started. Contrary to what many design firms preach, it is efficient to generate content during the creation of the website design. This allows a company time to draft and correct content while the designer designs the website. This is also beneficial because the designer can show examples of possible designs, and the client is then able to select which will fit best with the identity they prefer, as well as with their content. It is common for a company to want a lot of copy to make sure all their bases are covered in terms of literal business message. Once sent to the designer to be put into the website design, often the designer will ask the client to edit the copy so it is more concise and to the point, which limits the amount of copy. This will make the message stronger, as well as improve the design, as too much copy can cause visual clutter. The inclusion of key words for Search Engine Optimization (SEO) is also important and takes some time to get it just right. By designing and revising the website while the client generates and revises the content, the clients and the design firm stay in touch and are able to essentially work together to make sure the website design is exactly what the client wanted visually, and will work long term because the content is functional (in terms of SEO and other marketing tactics), true to the company’s culture and capabilities, and qualitative. Here at Bop, our process for developing a content strategy varies based on our clients. Whether you have copy approved and ready to publish or you need a copywriter to generate all of your content, Bop Design tailors its process and services to meet your needs. After attending a web design-related event about the up-and-coming WordPress website/blog building platform, I decided it would be a great idea to give a basic introduction and explanation of what WordPress is and why it is becoming so popular. During the event, the speaker talked about how many designers, and even their clients, ask for websites made in WordPress without knowing exactly what it is and what having a WordPress website means for the client or backend user. WordPress is the result of the collaboration of developers from all over the world. They have created and continue to build what is now a highly successful, user-friendly blog and website building software. 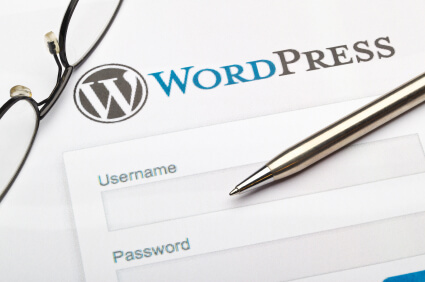 It can be used to create a free, hosted blog on WordPress.com or a non-hosted website (not free since one must pay for selected hosting services), which is supported via WordPress.org. When creating the blog and/or website, the user is able to select pre-made templates, also known as “child themes.” These themes are very basic and can be altered by the user through an extremely easy to use, back-end interface called the “dashboard,” which is very similar to the interface of Blogger. New posts, media (photos and videos), pages, sub-pages, widgets and plug-ins can be added without the help of a developer/coder, making updates to a website or blog easy and fast for both the designer and the client. Not to mention a decent amount of built in security, search-engine-optimization (SEO), globalization capabilities, CSS coding options, and many more fun and helpful tools. Another benefit is the ability of WordPress sites and blogs to utilize widgets and plug-ins. These enable the designer to pull in information from other websites or databases for display and interaction on the designed website, i.e. Twitter, news feeds, and anything that is updated frequently, plug-ins will serve as a window to those updates on the website. This makes sites more functional and because many of the WordPress templates are already designed with places for widgets and plug-ins, adding them to the site often does not interfere with the overall website design. All of those things make designing a website quick, cost effective and make content management easy for the client to control once the designer has completed the website. But this does not conclude the list of benefits of using WordPress. WordPress is powered by PHP code. This means that graphics and images are supported in a way that doesn’t compromise their resolution so the site looks clean and sharp. This is great news for designers who have long struggled with keeping their designs as close to their original design as possible. All too often, after going through all the flaming formatting hoops that other coding platforms often require, designs are squished, bitmapped, and otherwise distorted if things are not saved or built just the right way. Long story short? WordPress helps accommodate for small human (designer) mistakes to make the site look as good as possible with as little coding and fussing as possible. The functionality of WordPress doesn’t stop there. If a designer is able to collaborate with a developer versed in PHP and the ins and outs of WordPress website design, then the sky is the limit. Here at Bop, our developer creates custom templates to fit our client’s needs more specifically. The result is a large portfolio of visually stunning and communicative websites that can be created in less time than ever before. And as WordPress grows and becomes even more user-friendly, I’m not sure why anyone would want to use anything else to build their websites. Want the whole story? Download our free Guide to the Top 10 Questions About Website Design! Being only 23 years of age, I have been lucky to have grown up with a generation that had access to computers. I was one of the kids that said they wanted to be an artist when they grew up. I continued to love traditional art throughout my educational years. I grew up with mostly PCs and very basic programs (I only used Kid Pix paint shop and computer games). As a product of Gen Y, I understand and appreciate the privilege of being familiar with computer interfaces from a young age. It wasn’t until high school when I was introduced to an Apple computer. It was very foreign and took me a while to become familiar with the new interface. Once I did, I knew it was a big deal, and from that point on, I was inspired to become a graphic designer. Never in my wildest dreams, though, did I think that I would be designing digital graphics and website interfaces for a career. If it wasn’t for one genius of a man, I would have never been able to make art such a rewarding, fulfilling and fun career. Steve Jobs is responsible for changing technology in a literal sense, but he also changed the way people perceive and interact with technology by making it accessible and easy for anyone to use. He created a legacy of quality products, and was never afraid to push the envelope and think outside the box to make Apple the leader in technology for the masses. His technological innovations directly shaped web design, but his perception and high opinion of the importance of design also shaped the way in which all of us see his creations, and technology as a whole. Efficient Processing: Jobs worked hard to learn the ins and outs of computer engineering. He pushed new computer hardware and software technologies further than many believed possible. In doing so, he made computer speed faster and memory space larger making it easier for businesses and individuals to be more self-sufficient and productive. Having more space to store files and a quicker ram to access them makes it possible to complete a website design and make it live in less time. Graphically Supported Interfaces: Early on, Jobs enlisted help to create a user platform that people would easily be able to navigate. He oversaw the creation of graphics and icons in which users can recognize and access files and software. He also stressed the improvement of pixels per inch making screen resolution smooth and easy on the eyes. This is very important in designing for the web, as designing with specific software, the designer must maintain a particular resolution for visually stunning and successful websites. Simplified/Improved Programming: Visual improvements to any interface, whether it’s for a website or for a computer platform, means there also needs to be improvements to the programming involved. Jobs had a large influence on the manipulation of many programming codes, including HTML, to make the development of updated platforms for the latest versions of the many Mac products. Improvements in programming for platforms have had much effect on programming for websites, and other digital applications accessed by Mac products. Truetype Fonts: One, of many, impressive contributions to successful digital communication design that Jobs made is the use and familiarity of certain fonts by Mac users around the world. Jobs collaborated with a designer and created computer specific (meaning not just for print) typefaces that, when viewed on a computer screen, look crisp and clean. Fonts, in the years before, looked rough and pixilated. In creating web-specific fonts, Jobs opened up a new world to digital and web designers to create crisp looking website and interface designs. Emphasis on Design: The industrial, graphic, digital, web, advertising and print designs that Jobs oversaw in his years with Apple has created a brand that now defines a large portion of computer users around the world. He showed us that technology could bring beauty into our lives and also be beautiful itself. His stress on simple, friendly user interface design and powerful application has affected technology and the way it is, and most likely will continue to be, designed for users now and in years to come. As I sit here typing in front of my iMac desktop computer with my MacBook to my left and my iPod to my right, and a fresh career in graphic and web design, I wonder where I would be today without Steve Jobs. With the web being in constant flux, it is important for website designers to stay current with the most current web design standards. For new blog entry topics, I like to peruse other web design blogs for inspiration, and in turn, stay current with my web design skills. I recently visited a blog that stood out for discussing a topic that would seem to be common knowledge among the web designer community – screen resolution. After some thought however, it is a topic that needs to be discussed. Even though I consciously enter the pixel size of a window when creating a new website design, I never really focus on how it applies to the screen resolution. As a helpful refresher, I have looked into this further and have written a nice, simple, informational blog about this seemingly elementary topic. It turns out, there are some important terms and practices that correspond with these numbers that you might find helpful when devising your future website designs. First, to show the different screen resolutions and the corresponding percent of users that utilize these particular resolutions, I created a visual aid. 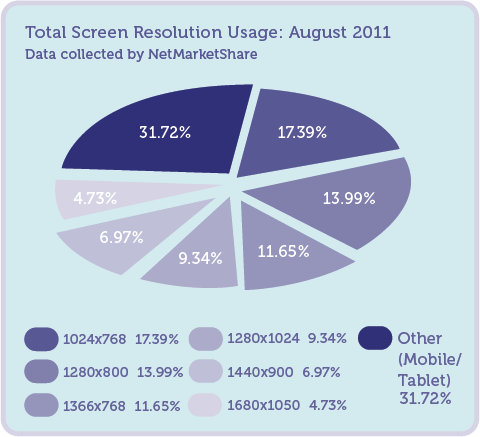 This data was collected by NetMarketShare and represents user activity in August 2011. There has been a lively debate on the proper resolution designers should use to design a website. A few years ago, it was common to design for a 1024×768 and 800×600 pixel screen. Now, it has become common to design strictly for 1024×768 pixels due to increasing screen size by leading computer manufacturers (referenced in visual aid). Even though many users have increased the size of their monitors, some thought leaders argue that users still keep the browser windows relatively small on their screens to view other task windows simultaneously. There are different tools available to correct these issues. I enlisted the help of a less current but still very helpful blog that summarizes these tools. The key to addressing screen resolution issues is to optimize for (or design for) a 1024×768 pixel screen. This size is the most versatile for both larger and smaller screen sizes. When designing for a 1024×768 pixel screen, use a liquid layout. A “liquid layout” is a tool that allows a website to easily adjust when resizing the browser window, while maintaining the design and content. Be sure to test this by verifying that the website still looks good when the browser window size is changed. Ensure that the website has good initial visibility. “Initial visibility” is the content viewed when a visitor initially lands on a website. It is common for a viewer to scan a website like they read a book, from top to bottom, left to right. Have the most important brand information, both visual and textual, in the upper left part of the web page. This will also enhance website Search Engine Optimization (SEO), making it easier for search engines to crawl your site and index keywords based on the content in this part of the website. Based on solid research, viewers do not like to scroll. Design your website so viewers obtain the majority, or preferably all, of their information from the upper-most part of the fold. The “fold” is where the screen gets cut off and a scroll bar is needed to see the bottom of the site. Think of most newspaper layouts. If you design with the fold in mind, your website will be successful in allowing viewers to get the information they need at a faster rate. And finally, make sure the site looks good! Be sure your design fits flawlessly with all technical resolution requirements. 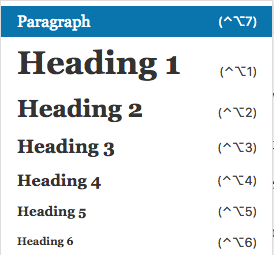 Formatting the content is very important. As screen sizes grow larger and larger as technology improves, keep in mind that the wider a line of text spans the harder it is to read. Keep copy in smaller columns to avoid losing readability and creating clutter. The use of mobile devices, such as smart phones and tablets, has dramatically increased in the past few years and will continue to rise. Because of this, designers also need to consider designing a separate screen ratio from the main site for compatibility with these devices. This will make websites, as well as the overall brand of the company, much more visible and marketable. And with improved operating systems on these devices, it is becoming easier to design and incorporate these mobile website designs to the web. Keeping resolution consciously in mind when creating a new website design will ensure less updating in the future and more success in maximizing visibility and user traffic to your website. For more about screen resolution and website design, visit Design Festival, Use It and NetMarketShare. Most people are comfortable reading a web page the same way they read a book, from top to bottom, left to right. Web designers also take this into account when designing for a website. Many designers make sure to place the most important information on the upper left hand column. This will help get the message across more effectively for website visitors who could be current or potential customers. But what many people do not know is that placing important information in these areas of a website also improves search engine optimization (SEO). When you include important company-related keywords into the html-based text, search engines such as Google and Bing are able to crawl your website easily, increasing your search engine placement and giving your website and firm more overall visibility. The content of your site is important for reasons besides the fact that it literally communicates your company’s brand position and promise. There are other very important elements that are considered when a copywriter creates the content and the designer creates the complementary visual environment for the content. Making the message short and to the point, yet warm and welcoming (depending on the industry) helps the reader to remember the message easier. Also, when there is too much text on a page, the page becomes visually cluttered making it more difficult for a reader to physically read the page, let alone remain interested in reading the page. By streamlining the content, the designer is then able to insert the text into their design, which typically includes plenty of negative space. This empty space lets the reader’s eyes rest so they do not tire of reading. The Internet can be a scary place for people who are more accustomed to doing business face-to-face. It can bring back haunting scenes from the movie The Matrix, which might be great for certain industries. Most businesses are looking for something more welcoming than a confusing labyrinth of letters and numbers. Website design is a great way to create a user-friendly environment where people come for helpful tips and best practices. If a website is designed and managed properly, customers will continuously return to your site and do business with your company.